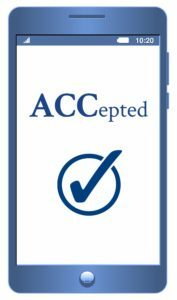 ACC offers affordable, comprehensive college coaching packages to help you navigate the college admissions and application process! Package selection depends upon the current grade level and college planning needs of the student. Coaching sessions are customized to meet the client’s needs based on the coach’s observations, parent’s input and student’s self-analysis. Each college coaching session is one (1) hour and takes place at the ACC Office. In-person meetings are supplemented by electronic support services, including emails and telephone calls. Service packages are value priced, giving you the highest level of support at the lowest price. Contact us for the best option for your needs and budget.